When Beth’s world falls apart, can she ever be whole again? 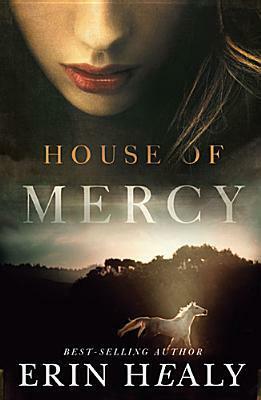 House of Mercy follows twenty-two year-old, Beth Borzoi through the trials of a lawsuit, a death, and a divided family. When the existence of the Blazing B—the Borzoi ranch that has been around for generations—is in danger, Beth decides to go on a journey through the mountains on horseback to find a grandpa she never knew. And if she didn’t seem desperate enough, she follows a wolf that may or may not be real. This book is gripping and emotionally impactful. Readers will find themselves sympathizing with Beth as she learns about mercy and faces all the trials that come her way. They will also find themselves hating and even sympathizing with the book’s antagonist. Healy has created a person who you hate to love, yet there is something about them that I am sure all of us can identify with. That is what makes this character so emotionally impactful as well. Are we willing to get lost in trying to gain the love, attention, and approval of those around us? As with her past three solo novels, Healy has proved that she is a master at imagery. She describes the settings so well to the point where we can see it in our heads, and feel the sun caressing our faces as it rises. Instead of shooting facts at the reader about what she wants them to see, Healy weaves it into beautiful prose. House of Mercy is a novel for readers who want more than just an entertaining story—which is definitely is. But the strength of the book is in its lesson; and if that is the kind of book you want to read, then go to your local bookstore and buy yourself a copy, and some more for your friends. Note: I received a copy of this book in exchange for an honest review from the publisher. All thoughts and opinions are mine.